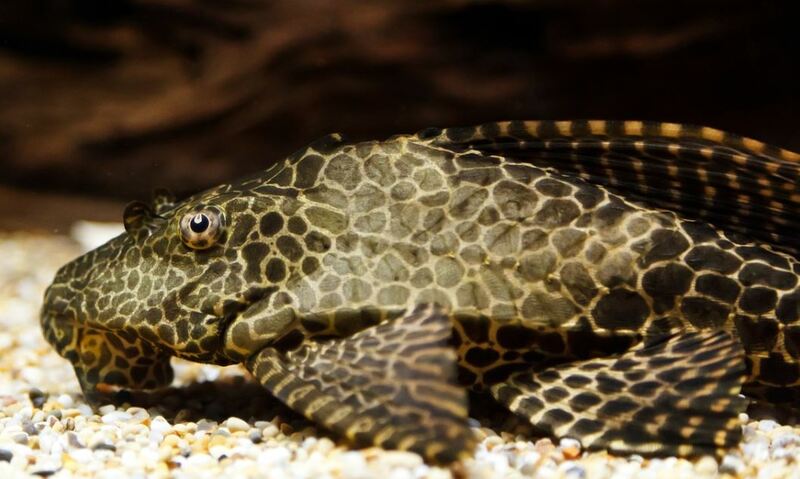 The Sucker Fish, also known as Plecostomus; got its name by its tendency to feed by sucking up plants and invertebrates. Its mouth is on the bottom of its head, allowing its lips to perform a sucking action. Suckers are freshwater fishes that live on the floors of slow moving streams and lakes. They are close relatives of the carp and Minnow. There are approximately 100 species of Sucker Fishes. They can live for 10 to 15 years in captivity and may grow to be 12 to 18 inches long. The Sucker Fish can be considered to be a wise choice for addition to any fish tank or aquarium. Why you might ask? They serve as a built in clean up system as they eat algae found on tank surfaces and also food particles from the bottom of the tank. Their mild personalities makes them compatible with almost any tank mate. You can provide a suitable home for your Sucker Fish by having a beautifully decorated tank, with just enough exposure to sunlight. The tank should be situated in an area that promotes the growth of algae to provide for the need of your Sucker Fish, who feeds on this algae. Add some driftwood and make certain there are lots of places to hide in the tank. Even though the sucker Fish likes to feed on algae; regular treats of fresh food are always a good idea. To adequately care for a Sucker Fish, you might have to give them special considerations, such as: leaving a small space at the top of the tank. They often swallow air in order to help them float better. However, remember to keep the tank lid closed. Sucker Fishes have been known to escape their tanks. They can survive short periods without water. So if you discover one outside of the tank; just put it back and chances are it will be fine. You will also be happy to know that sucker fish are good tank mates with discus fish. They will help keep the algae under control. •	It does not breed successfully in captivity even though it’s possible. •	A superstition surrounds its name: that saying its name or writing its name will cause the fish to die. Therefore, some pet owners refrain from doing so. •	It can survive adverse conditions, such as being out of water for up to 30 hours because of its ability to store large amounts of air in its intestines. •	It is considered an invasive species because it lives wild in several states of the United States of America; outside of its native territories.